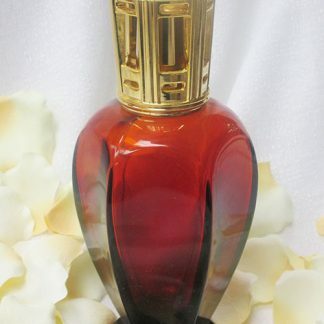 The Four Seasons is a large beautiful and elegant Lampe Berger lamp! Each side of the lamp reproduces a painting by Alfons Mucha (1890-1939) in the Art Nouveau style showing a lady in dress appropriate for each season of the year. The panels are trimmed in gold. A serious lamp for collectors or lovers of Mucha. Lamp sold in a box with a funnel, wick, sample size oil, instructions and Lampe Berger signature blue bag. With its exclusive patented burner, a Lampe Berger is not only a lovely decorative piece, but one that provides three unique and essential services; the elimination of odors, the safe purification of air and long lasting fragrancing. 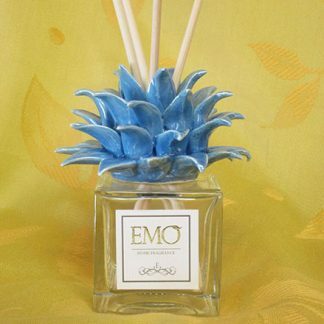 Add a little French scent to your room…..